Our range of products include metalica slim tall planter (vertical), elegance slate planter, artistic planters, tall slate rectangular planter, slate planter pot and shiny white planter. We have risen to prominence in the field of manufacture and export of Vertical Pot. Some of the notable characteristics of these pots are their smooth finish, excellent quality and enthralling patterns. 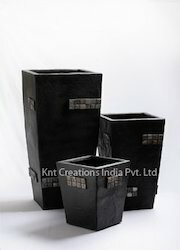 These vertical pots are widely used for enhancing the decor of any residence, resort, etc. Put to comprehensive quality check, these vertical pots are finished in unmatched manner. 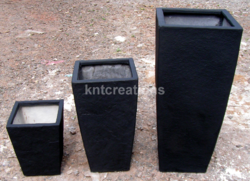 To conclude, these vertical pots are available at cost-effective prices. 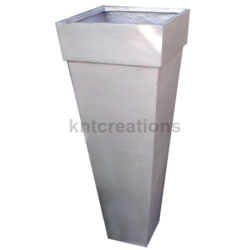 We are offering Elegance State Planter to our clients. We are offering Artistic Planters to our clients. 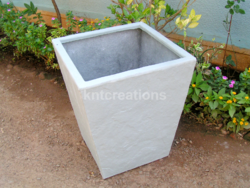 We are offering Tall Slate Rectangular Planter to our clients. 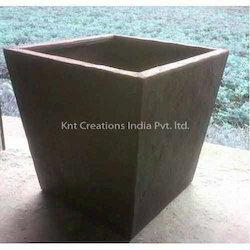 We are offering Slate Planter Pot to our clients. 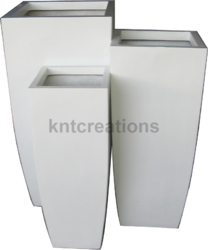 We are offering Shiny White Planter to our clients.